I've decided to share a couple of the Python scripts I've written that I use when video engineering in case any of your could find them useful. 2. Quality of service - I use this script to troubleshoot network communication issues. It pings an IP server continually at a set duration helping your to find hunt down intermittent signals. I then stress test the cables and physical connectors to see if I can introduce a loss of signal. Let me know if you would like to contribute or if you'd like to see any specific features implemented. New software from Berkeley-based audiovisual industry specialist has potential to transform the events and production industry. Berkeley, Calif. -- ShowBlender, a Berkeley-based audiovisual industry specialist, announced today the opening of beta access for its new Procedural Generations Motion Graphics Software, a motion graphics solution designed to compress media files dramatically, and reduce render times for applications by shrinking to the kilo- to mega-byte range from the typical gigabyte range. 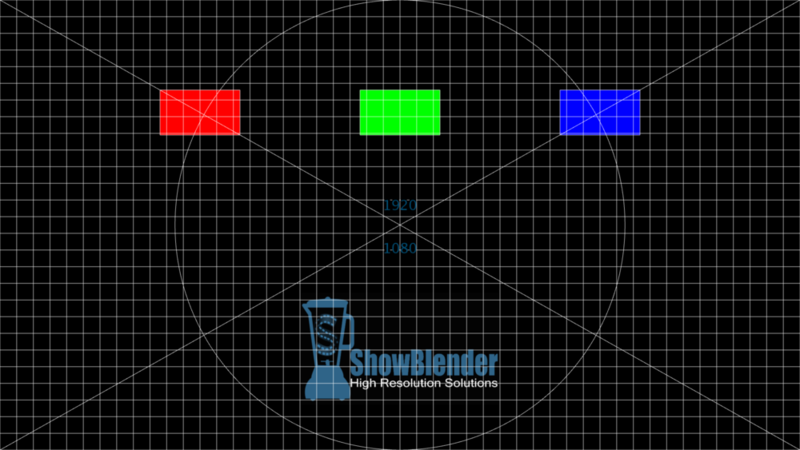 ShowBlender has years of industry expertise operating within the confines of massive data workflows. Procedural Generations takes an alternative approach to production workflows by using GPUs to render media live. With this new model, there is very little disk I/O, which ends the need for large RAID, SSD or expensive media servers, as well as heavy disk reading and writing. Procedural Generations significantly reduces time spent in buffering or copying files, which frees users to deploy resources in more productive areas. 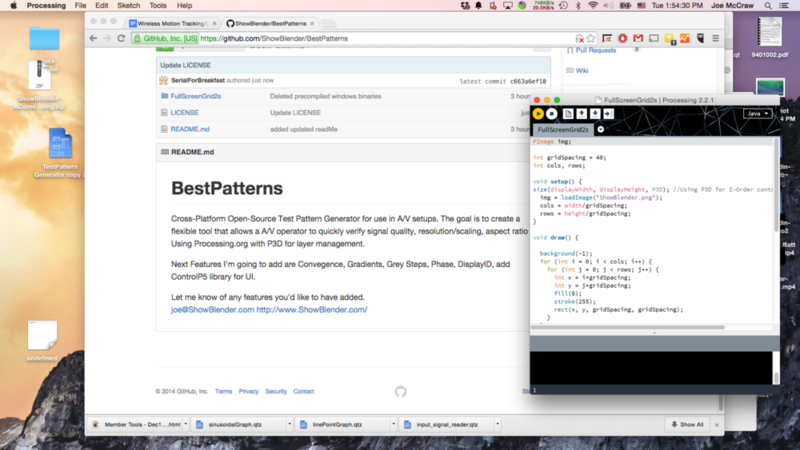 Build custom-applications for Mac beginning with the next live event. Powered by native components—CoreGraphics, SpriteKit and Quartz—the applications are efficient OS X applications; they enjoy stability, optimized performance, and efficient memory management. Applications are scalable to any resolution or aspect ratio(limited only by the graphic card). Applications are event-driven, meaning they are responsive to the keyboard, live audio, MIDI, mouse or touch. ShowBlender offers single-app solutions, which integrate with Syphon to share frames in real-time and build creative applications. Deploy skilled human resources flexibly without having to wait long for re-rendering large video formats or make changes on the fly with the elegant solution. Beginning with the next event, license un-watermarked content or develop branded visual content to match any design—RBG color values, show-pacing and tone. ShowBlender offers digital media solutions for specific design requirements using its advanced motion graphics and video engineering technology. The Berkeley-based provider has established a clientele for high-resolution, multi-format, widescreen digital media, optimizable for LED or projection systems and playback or video switching needs. The team at ShowBlender understands the needs of content-focused, creative design teams who often face challenges in areas such as bandwidth constraints, blend regions, or aspect-ratio projection designs. Custom-templates or solutions are designed to help clients overcome such stumbling blocks. Over the years, ShowBlender has successfully engineered solutions for equipment vendors and production managers and design teams, enabling them develop solutions for any production needs. Procedural Generations is ideally suited for corporate events, digital signage, live event production, meetings and trade shows. For more information, and to request beta access,, please visit http://www.ShowBlender.com/procedural-generations or call + 1 888 573 5589. ShowBlender, a Berkeley-based software developer led by Joe McCraw, specializes in the products for audiovisual industry. ShowBlender provides unique engineering, software and production design services to make your next event shine. Other popular software developed by the specialist provider include SpeakerSync, Promptly, Quietcomm, Twitterpated and UpTime. I have developed an AV Software that I'd like to get some feedback on. Its a High-Resolution Procedurally Generated Realtime Motion Graphics Renderer written natively for OSX with CoreGraphics, Spritekit, and Quartz components. It has an integrated Syphon server for Projection Mapping or integrating with VJ software. It's under 1MB, and it can scale to any resolution. Perfect for High Resolution/Widescreen/Projection/LED. Custom solutions for Permanent Installs, Digital Signage, Screen-Savers etc. Contact me for an early beta access. For the record, I love BlackMagic hardware products. The MiniRecorder, the HD-SDI Router, and the converters are all great products. The only problem is the software. I've had an unbelievable amount of troubles with the software they offer. I've had Blue Screens of Death, random crashes, and whenever I try to play an mp4 in Media Express, it crashes. My advice? Stay with whatever version is working for you, and avoid being an early adopter of their software updates, especially not before a show. Setting the ip of the ATEM switcher after the update will not connect. Changing the IP via USB Setup Utility works, but the Software just won't connect after flashing the software to 6.0, restarting, changing IPs(172, 10.x.x.x's are the same).